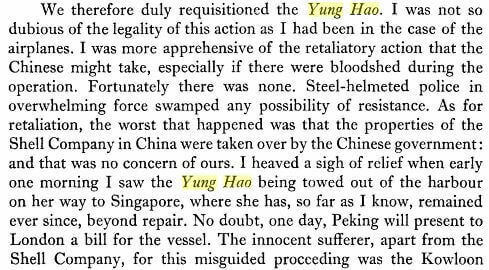 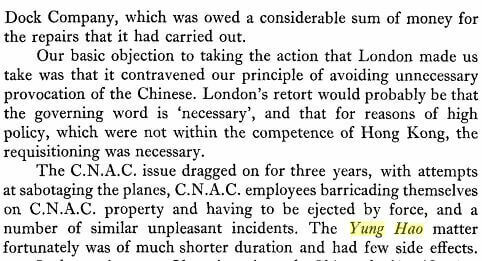 HF: In 1951, China requisitioned all property belonging to the Asiatic Petroleum Company in retaliation for the Hong Kong Government’s requisitioning of the tanker Yung Hao. 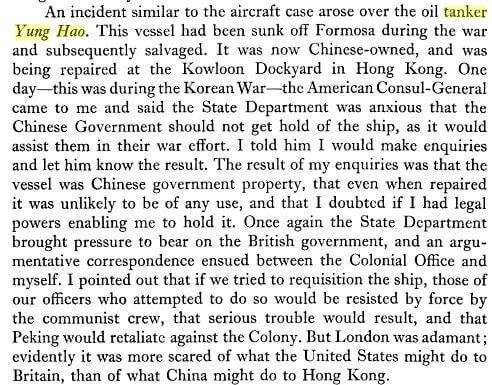 Further information comes from this account in the book, Via Ports: From Hong Kong to Hong Kong, Alexander Grantham, Governor of Hong Kong from 1947 to 1957. 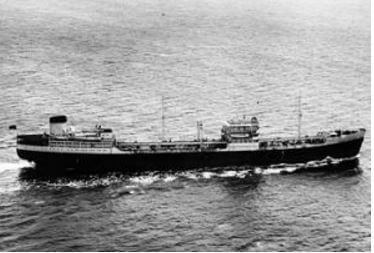 This image is of the Yung Hao in later life as the RFA Surf Patrol, 1956.